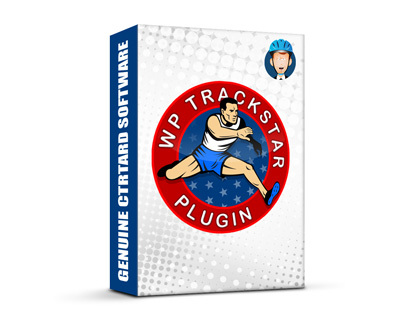 WP Trackstar (Standard Edition) $77 Includes WP Trackstar and six months of updates, upgrades, and support. WP Trackstar (Professional Edition) $77 then $37/year Includes WP Trackstar and one full year of updates, upgrades, and support. After the first year, you'll continue to get updates, upgrades, and support for more than 50% off the regular price! This copy of WP Trackstar (“the Software Product”) and accompanying documentation is licensed and not sold. This Software Product is protected by copyright laws and treaties, as well as laws and treaties related to other forms of intellectual property. ATOMIC DISC MEDIA, INC., or its subsidiaries, affiliates, and suppliers (collectively “ADM, Inc.”) own intellectual property rights in the Software Product. The Licensee’s (“you” or “your”) license to download, use, copy, or change the Software Product is subject to these rights and to all the terms and conditions of this End User License Agreement (“Agreement”). Acceptance YOU ACCEPT AND AGREE TO BE BOUND BY THE TERMS OFTHIS AGREEMENT BY SELECTING THE “ACCEPT” OPTION AND DOWNLOADING THE SOFTWARE PRODUCT OR BY INSTALLING, USING, OR COPYING THE SOFTWARE PRODUCT. YOU MUST AGREE TO ALL OF THE TERMS OF THIS AGREEMENT BEFORE YOU WILL BE ALLOWED TO DOWNLOAD THE SOFTWARE PRODUCT. IF YOU DO NOT AGREE TO ALL OF THE TERMS OF THIS AGREEMENT, YOU MUST SELECT “DECLINE” AND YOU MUST NOT INSTALL, USE, OR COPY THE SOFTWARE PRODUCT. License Grant This agreement entitles you to install and use one copy of the Software Product. In addition, you may make one archival copy of the Software Product. The archival copy must be on a storage medium other than a hard drive, and may only be used for the reinstallation of the Software Product. This Agreement does not permit the installation or use of multiple copies of the Software Product, or the installation of the Software Product on more than one computer at any given time, on a system that allows shared used of applications, on a multi-user network, or on any configuration or system of computers that allows multiple users. Multiple copy use or installation is only allowed if you obtain an appropriate licensing agreement for each user and each copy of the Software Product. Restrictions on Transfer You may not assign your rights and obligations under this Agreement, or redistribute, encumber, sell, rent, lease, sublicense, or otherwise transfer your rights to the Software Product. Restrictions on Use You may not use, copy, or install the Software Product on any system with more than one computer, or permit the use, copying, or installation of the Software Product by more than one user or on more than one computer. If you hold multiple, validly licensed copies, you may not use, copy, or install the Software Product on any system with more than the number of computers permitted by license, or permit the use, copying, or installation by more users, or on more computers than the number permitted by license. You may not decompile, “reverse-engineer”, disassemble, or otherwise attempt to derive the source code from the Software Product. Restrictions on Copying You may not copy any part of the Software Product except to the extent that licensed use inherently demands the creation of a temporary copy stored in computer memory and not permanently affixed on storage medium. You may make one archival copy which must be stored on a medium other than a computer hard drive. Limited Software Product Warranty For a period of 30 days from the date of shipment or from the date that you download the Software Product, as applicable, ADM, Inc. warrants that when properly installed and used under normal conditions, the Software Product will perform substantially as advertised. Disclaimer of Warranties and Limitation of Liability UNLESS OTHERWISE EXPLICITLY AGREED TO IN WRITING BY ADM, INC., ADM, INC. MAKES NO OTHER WARANTIES, EXPRESS OR IMPLIED, IN FACT OR IN LAW, INCLUDING, BUT NOT LIMITED TO ANY IMPLIED WARRANTIES OF MERCHANTABILITY OR FITNESS FOR A PARTICULAR PURPOSE OTHER THAN AS SET FORTH IN THIS AGREEMENT OR IN THE LIMITED WARRANTY DOCUMENTS PROVIDED WITH THE SOFTWARE PRODUCT. ADM, Inc. makes no warranty that the Software Product will meet your requirements or operate under your specific conditions of use. ADM, Inc. makes no warranty that operation of the Software Product will be secure, error free, or from the interruption. YOU MUST DETERMINE WHETHER THE SOFTWARE PRODUCT SUFFICIENTLY MEETS YOUR REQUIREMENTS FOR SECURITY AND UNTERRUPTABILITY. YOU BEAR SOLE RESPONSIBILITY AND ALL LIABILITY FOR ANY LOSS INCURRED DUE TO FAILURE OF THE SOFTWARE PRODUCT TO MEET YOUR REQUIREMENTS. ADM, INC. WILL NOT, UNDER ANY CIRCUMSTANCES BE RESPONSIBLE OR LIABLE FOR THE LOSS OF DATA ON ANY COMPUTER OR INFORMATION STORAGE DEVICE. UNDER NO CIRCUMSTANCES SHALL ADM, INC., ITS DIRECTORS, OFFICERS, EMPLOYEES OR AGENTS BE LIABLE TO YOU OR ANY OTHER PARTY FOR INDIRECT, CONSEQUENTIAL, SPECIAL, INCIDENTAL, PUNITIVE, OR EXEMPLARY DAMAGES OF ANY KIND (INCLUDING LOST REVENUES OR PROFITS OR LOSS OF BUSINESS) RESULTING FROM THIS AGREEMENT, OR FROM THE FURNISHING, PERFORMANCE INSTALLATION, OR USE OF THE SOFTWARE PRODUCT, WHETHER DUE TO A BREACH OF CONTRACT, BREACH OF WARRANTY, OR THE NEGLIGENCE OF ADM, INC. OR ANY OTHER PARTY, EVEN IF ADM, INC. IS ADVISED BEFOREHAND OF THE POSSIBILITY OF SUCH DAMAGES, TO THE EXTENT THAT THE APPLICABLE JURISTICTION LIMITS ADM, INC.’S ABILITY TO DISCLAIM ANY IMPLIED WARRANTIES, THIS DISCLAIMER SHALL BE EFFECTIVE TO THE MAXIMUM EXTEND PERMITTED. Limitation of Remedies and Damages Your remedy for a breach of this Agreement or of any warranty included in this Agreement is the correction or replacement of the Software Product. Selection of whether to correct or replace shall be soley at the discretion of ADM, Inc., ADM, Inc. reserves the right to substitute a functionally equivalent copy of the Software Product as a replacement. If ADM, Inc. is unable to provide a replacement or substitute Software Product or corrections to the Software Product, your sole alternate remedy shall be a refund of the purchase price for the Software Product exclusive of any costs for shipping and handling. Any claim must be made within the applicable warranty period. All warranties cover only defects arising under normal use and do not include malfunctions or failure resulting from misuse, abuse, neglect, alteration, problems with electrical power, acts of nature, unusual temperatures or humidity, improper installation, or damage determined by ADM, Inc. to have been caused by you. All limited warranties on the Software Product are granted only to you and are non-transferable. You agree to indemnify and hold ADM, Inc. harmless from all claims, judgements, liabilities, expenses, or costs arising from your breach of this Agreement and/or acts or omissions. Governing Law, Jurisdiction and Costs This Agreement is governed by the laws of California, without regard to California’s conflict or choise of law provisions. Severability If any provision of this Agreement shall be held invalid or unenforceable, the remainder of this Agreement shall remain in full force and effect. To the extent any express or implied restrictions are not permitted by applicable laws, these express or implied restrictions shall remain in force and effect to the maximum extent permitted by such applicable laws.